When you reach your 81st year, you’re bound to have a plethora of stories to share. Just ask D’yan Forest. 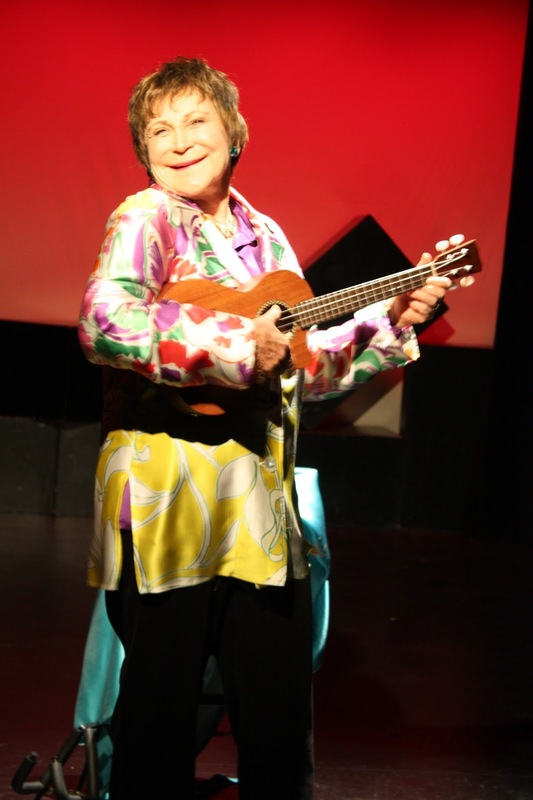 In her solo cabaret, Forest takes the audience on a tour of her life around the world in A Broad Abroad. Filled with a song, jokes, and a lot of crudeness, A Broad Abroad is a celebration of love and life. Forest’s story of international escapades on stage and in bed is the source of this sixty-minute comedy extravaganza. Though we're not sure if there was ever a bed involved during her exploits. What starts with a brief affair with the City of Lights, D’yan Forest finds herself gracing the stage around the world where, at each stop, she meets a gentleman that woes her. Accompanying her stories are an array of thematically-relevant music. From showtunes, like Cabaret’s “Don’t Tell Mamma” to standards, like Edith Piaf’s “La Vie en Rose”, Forest provides them all. But nothing is more satisfying and uproarious than the perfectly-timed “Touch-a Touch-a Touch Me” from The Rocky Horror Show. It’s very likely that after this performance you’ll cry laughing. As a performer, D’yan Forest commands the stage. It’s hers from start to finish so don’t try to pull her off until she’s ready. Forest is just delightful. She’s spry and crass, keeping her audience entertained with everything she shares. Director, and co-writer, Erik Kornfeld guides Forest on her journey by giving Forest her freedom to pander while bringing her home in some of the more quiet moments. These shifts allow a clear arc to pass through the show. A Broad Abroad proves why D’yan Forest deserves her eight-decades of music, madness, and “foreign affairs.” She is an inimitable performer that is bound to astonish you in some way.